L&M SEAMASTERS is the first diving Company established in Cyprus, in order to provide professional underwater services in Mediterranean Sea. 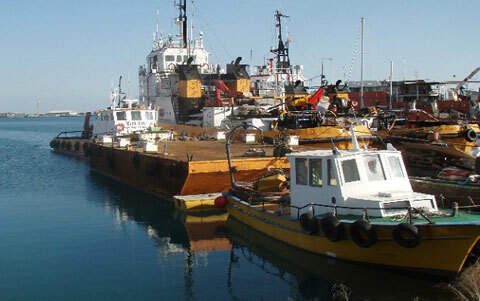 The intention of the Company was to provide the shipping industry with high quality and efficient underwater services. The operations of the Company commenced in 1984, with the purchase of the Diving Support Boat "MAISTROS". The boat is equipped with modern tools for underwater hull cleaning, underwater welding machines and underwater video cameras for in water surveys, etc. Seven years later in 1991, the Company invested in the purchase of the Tug Boat "OPI" (15 tons’ bollard pull). The aim of this purchase was primarily to improve Company’s salvage capabilities and secondly to enter the towage sector. 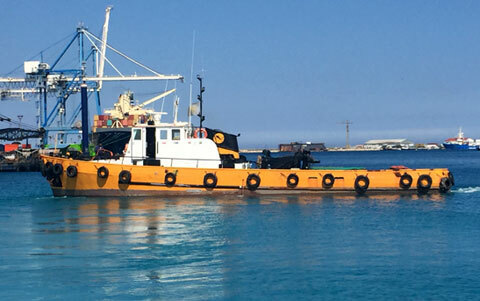 In 2001 we constructed the water barge "M.E.K" having a capacity of 200 tons of fresh water and in the same year we commenced supplying fresh water to vessels calling Cyprus. After gaining plenty of experience, covering almost 2 decades in the shipping industry, the Company decided to consolidate its position in line with improvements that were taking place in towage and salvage side of our business. In 2002, the purchase of the Tug Boats ‘PEGASUS I’ and ‘PILEAS I’ (both having 35 tons pollard pull) gave a boost to the Company. The maintenance and operation of the fleet on both the organizational and technical levels have always been done by the hands – on owners, however the full management of three tug boats led to further development of the organization in order to arrange the manning and maintenance of the fleet and its auxiliary equipment. The technical, crewing and supplying departments began to work in accordance with safety management system procedures and further training requirements of the crew were identified and given to ensure the proper functioning of the Company. 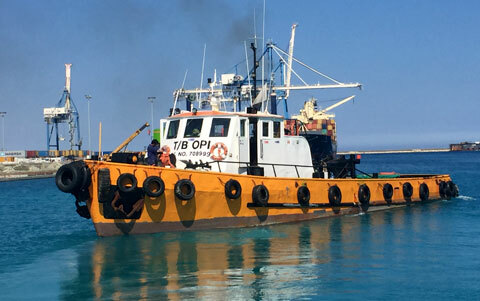 Since 2002 our port and open sea towage activities have expanded rapidly and to date we have successfully performed plenty of towage and salvage operations. 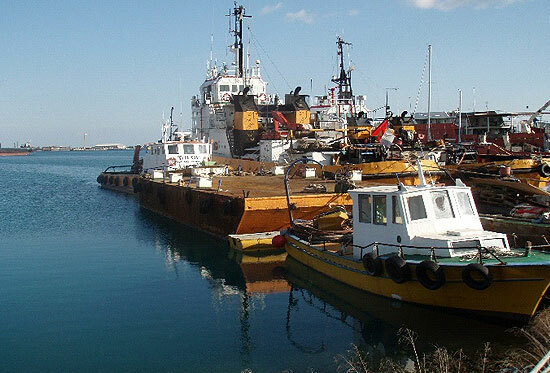 In 2006 we started providing offshore services supporting STS (Ship to Ship) operations; also provided tug services for berthing/un-berthing during SBM (Single Buoy Mooring) operations in the area of Vassiliko Port. We are now the leading provider of such services in Cyprus and the surrounding seas. In 2007, following the needs and requirements of the Shipping Industry and the demands of Principals, we hired from Cyprus Port Authorities an area in the Limassol New Port of 1800 sq meters. This area, our Base has storage facilities and a well-equipped workshop. It is also equipped with a 50-ton mobile crane and an appropriate forklift. The fleet and activities of the Company have moved to our Base, which is satisfactorily audited by entities such as Shell and BP. At 2009 we integrated into our fleet the Service Boat ‘DIONI’ in order to transfer crew and supplies / stores to the vessels approaching Cyprus. 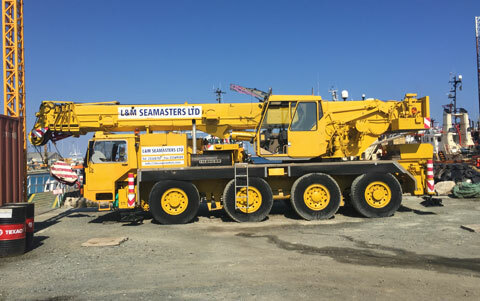 Nowadays, L&M SEAMASTERS is a well performing team consisting of experienced and well educated and trained personnel ready and willing to offer our full range of services to our Customers and Principals, whenever and wherever is needed.